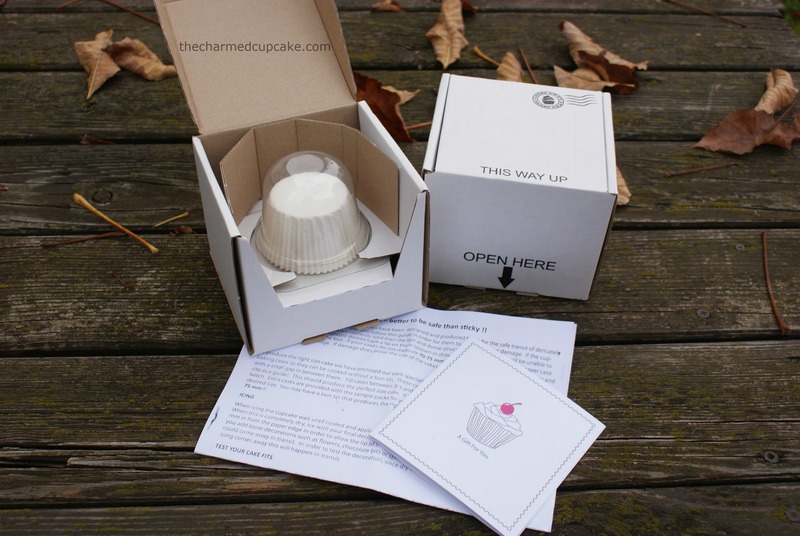 Have you ever wanted to post a cupcake, or a few, to your loved ones who did not live close enough for a personal delivery yet who live far enough so that they could be posted and still be edible? Imagine being able to post a single cupcake to a friend or family member on their birthday. Have the capability of sending your customers samples of your wonderful cupcakes. Offer your corporate customers a unique marketing solution with a single cupcake. The Cakes-Away Onesie is the latest in the Cakes-Away postable cupcake box range which was launched in June 2013. Late last year I was lucky enough to receive a Cakes-Away onesie to review from Card Cuts who are based in the United Kingdom. I have to say I am very happy with the Onesie boxes I received. The quality of the box is very strong and sturdy and the instructions are detailed with diagrams and very simple to understand. I received my Onesie box already assembled but because the instructions are so clear, you could easily assemble the box with no problem if you received them unassembled. To test out how sturdy the Cakes-Away Onesie box was, I packaged up a frosted cupcake in the box. Without telling Mr Charmed Cupcake there was a cupcake inside we did a few throw and catch moves out in the backyard. Now let me tell you, he did not throw lightly so I missed a few catches and the box took a few hits and tumbles on the ground. I got Mr Charmed Cupcake to open the box and to his surprise he was amazed there was a cupcake inside which was still in one piece and not smashed. 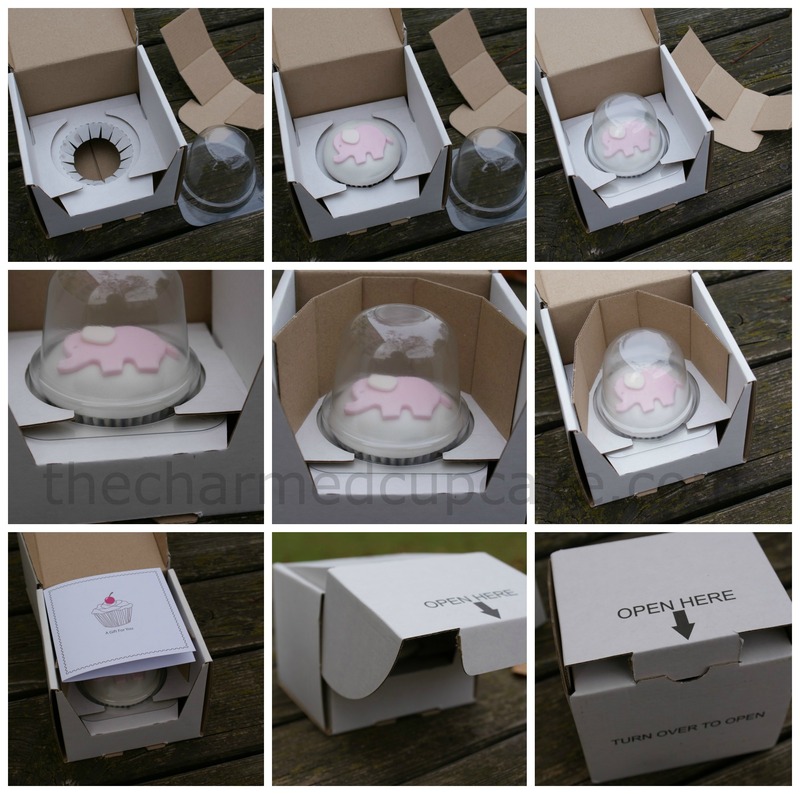 The Cakes-Away Onesie is a complete pack of the box, innertray, support collar, plastic dome to protect the cupcakes, paper cake case, greetings card and full instructions. The box measures 12.5 cm x 11 cm x 10 cm and therefore comes under the UK Royal Mail small parcel rate as it complies with their 16 cm square cube rate. For a snug fit of your cupcake in the onesie box, you need to be sure to use the paper cake cases supplied or ensure the cases you have are the same size. Also be careful not to fill your cases too much otherwise they will not fit nicely. Here are a couple of photos showing you ‘A not so perfect fit’ and a ‘Perfect fit’. 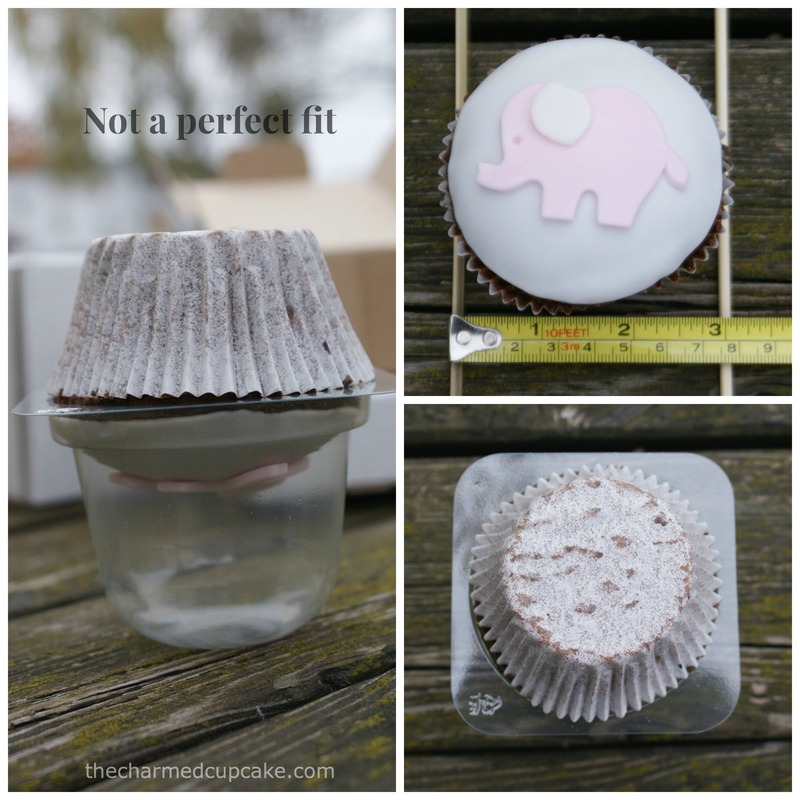 In the below photo you can see how the cupcake fits perfectly in the plastic dome cup. The cupcake has to sit inside of the plastic lip because if it doesn’t the cupcake will be squashed or your frosting/decoration ruined. 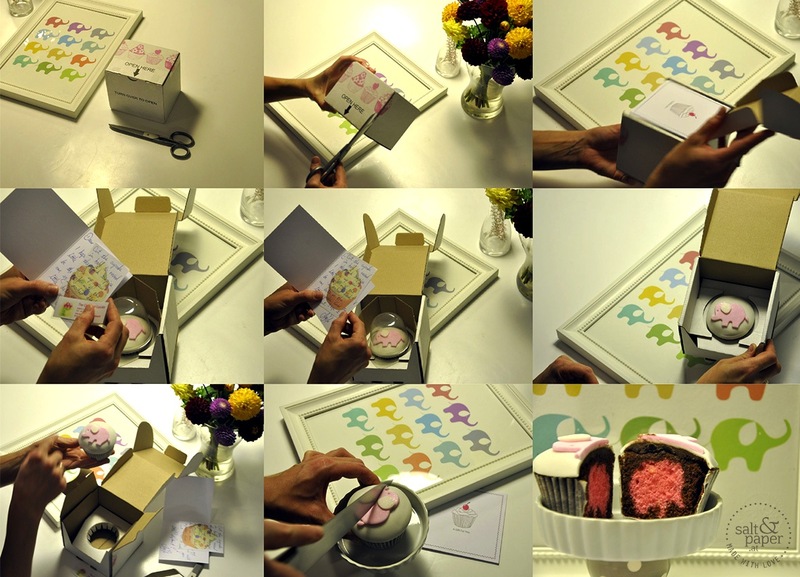 Here is a collage of how to assemble your cupcake into the Cakes-Away Onesie box. I love the cute card that comes with it too. The inside of the card is blank so you may write your own greeting. 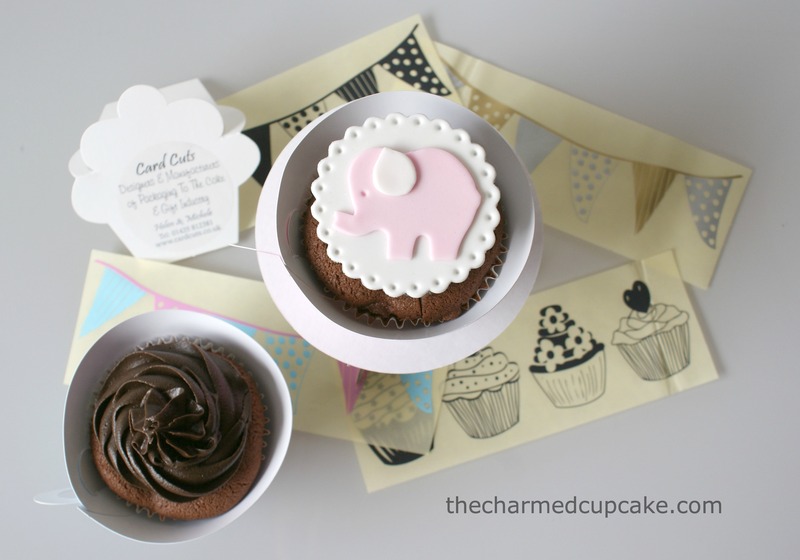 A few of you might recall my post The Little Pink Elephant which was a collaboration with Salt & Paper. Well this time I really did test it out and posted the little pink elephant cupcake in the Cakes-Away Onesie to the lovely Martina from Salt & Paper who is based in Graz, Austria. Graz is approximately 220km south of Linz so Martina received her cupcake within 2 days of posting. 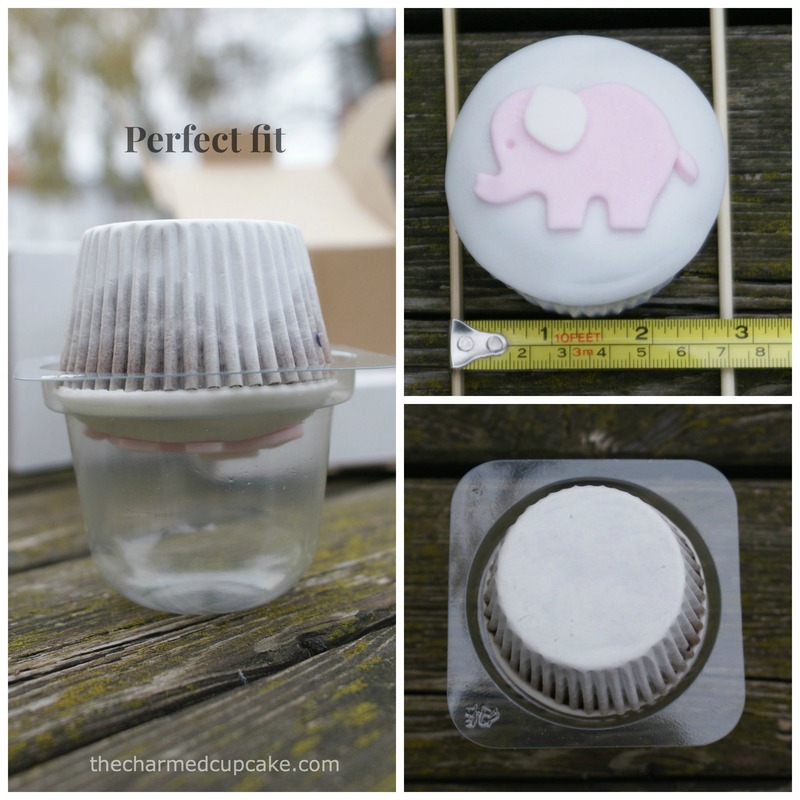 She was kind enough to share with us photos of how she received her little pink elephant cupcake in the Cakes-Away Onesie box. Our little pink elephant survived the trip! I would highly recommend the Cakes-Away postable cupcake boxes. Not only is there the Onesie box but also a Complete Kit where you can send 6 cupcakes because sometimes one is just not enough! Now it goes without saying, but if you live in a warm climate I would suggest you do not send your cupcakes with frosting unless the person receiving the cupcake likes melted frosting. 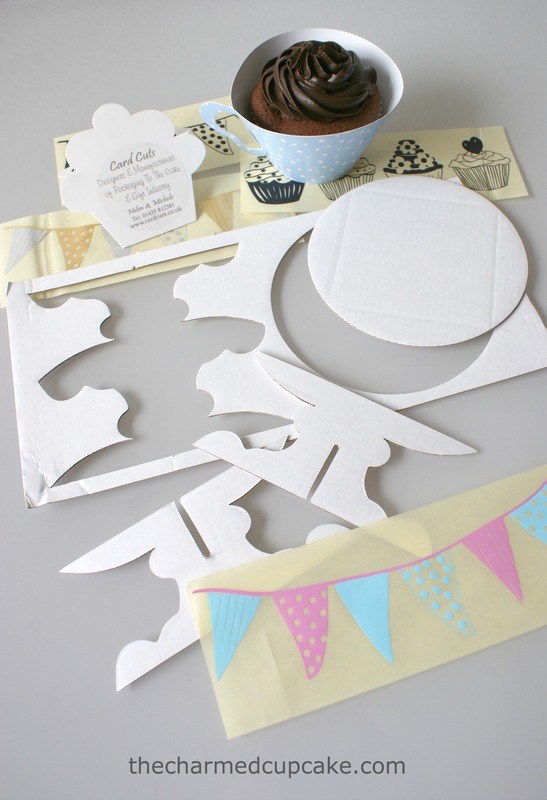 In saying all that be sure to check out Card Cuts for more lovely goodies such as they super cute range of giant cupcake boxes/handbags, cupcake and cake pop accessories, stickers, party supplies and much much more. ← Cupcakes in my path! With them I shall build the sweetest castle ever.